Want to put yourself in a happy mood all day? 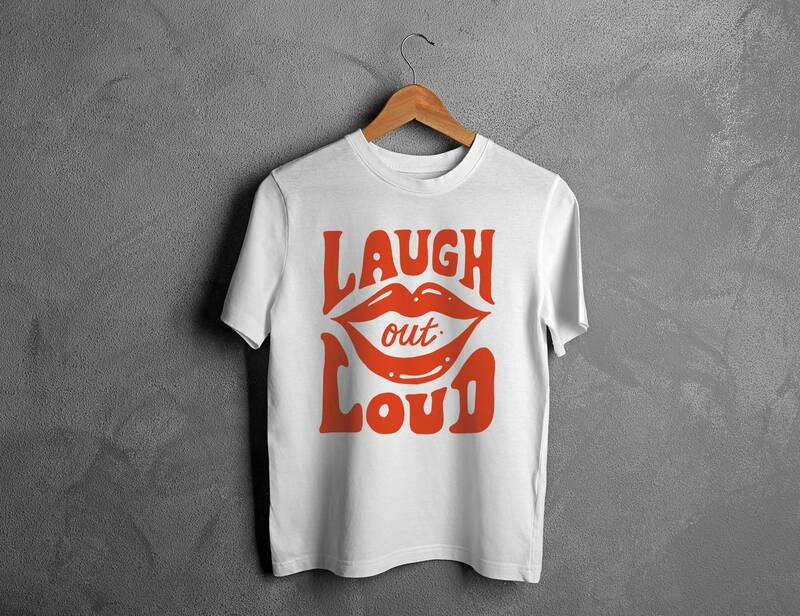 The new Laugh out loud t-shirt has been designed just for you! 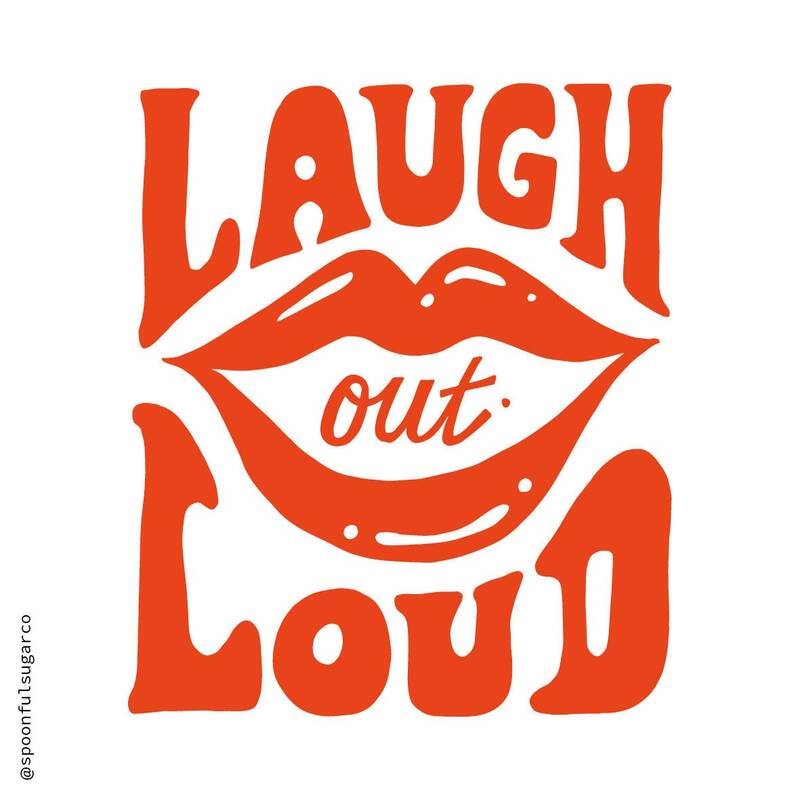 Made from 100% white cotton, the fun Laugh out loud design is based on my original, hand drawn typography and is printed in a super bright reddy orange. Available in 3 sizes (small, medium and large), it's a unisex fit so comes up a little loose, I'm a size 10 and the small is a little fitted and the medium comes up oversized. It's the perfect alternative women's t-shirt to tuck into your jeans or tie up into a knot at the front. 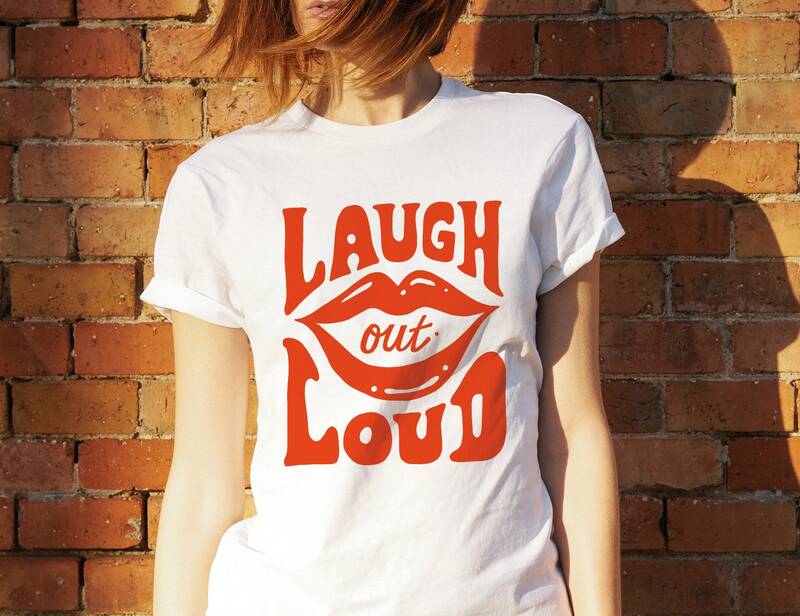 Your Laugh out loud t-shirt comes wrapped in a protective bag, ready for you to rip open and wear or wrap up as an ace best mate gift. If you love this, then check out my other T-Shirts!